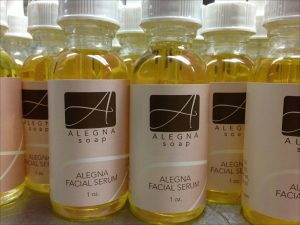 Alegna Facial Serum. Made with organic argan, jojoba, avocado and camellia oils, this blend leaves your skin feeling moisturized yet not oily. It’s perfect for my skin and I wanted to make it available for yours too.